DNA–Deoxyribonucleic Acid— is the blueprint for life. It is present in every livings ranging from the smallest bacterium to the largest whale. The molecule determines not only what physical characteristics you will have, such as hair, skin and eye color, but also what diseases you may develop in near future. DNA fingerprinting is a test to identify and evaluate the genetic information – called DNA (deoxyribonucleic acid) – in a person’s cells. It is called a “fingerprint” because it is very unlikely that any two people would have exactly the same DNA information, in the same way that it is very unlikely that any two people would have exactly the same physical fingerprint. The test is used to determine whether a family relationship exists between two people, to identify organisms causing a disease, and to solve crimes. Founder of DNA fingerprinting Dr. Alec Jeffreys was studying hereditary diseases in families in September 1984. He was a geneticist from the University of Leicester in Great Britain. He was focusing on methods to resolve paternity and immigration disputes by demonstrating the genetic links between individuals. Jeffreys used Restriction Fragment Length Polymorphism (RFLP) to analyze Deoxyribonucleic Acid (DNA). Dr. Jeffreys discovered that repetitive patterns of DNA, known as Variable Number of Tandem Repeats (VNTRs), were present in all human beings but that they varied in length for each individual. He soon realized that this variation could be used to establish the identity of a person and he named his technique Genetic Fingerprinting. DNA testing is a powerful tool for biological identification. It combines advanced technology to predict your genetic ethnicity and help you find your ancestral family connections. With a dynamic list of DNA matches, one can also help identify relationships with unknown relatives or map ethnicity by going back in multiple generations. Now a day we can identify individuals with almost 100% certainty with DNA testing technology. Identification has not always been this conclusive. Before DNA tests, the science community used other biological tools to identify people and determine relationships. These techniques, which included blood typing, serological testing, and HLA testing, were useful for other uses (such as matching blood and tissue donors with recipients and reducing the rejection rate for transplant patients), but they were not effective for identification and determining relationships. In late 1970s and 1980s, scientists saw the powerful tool this process was for identification and determination of biological relationships. Thanks to the advent of DNA testing, we can now determine the identity of individuals and their relatives with exceptional accuracy and conclusiveness. The following sections review the development of DNA testing from the early days of blood typing to the latest technology in DNA testing. In the early 1900s, based on the presence of certain proteins called antigens in the blood, scientists acknowledged 4 different blood types in humans – A, AB, B, and O. This blood typing system, called the ABO system, allow doctors to safely perform medical procedures about their patients, especially blood transfusions, by matching the blood types of patients and donors. In the 1920s, scientists recognized that blood types were genetically inherited. 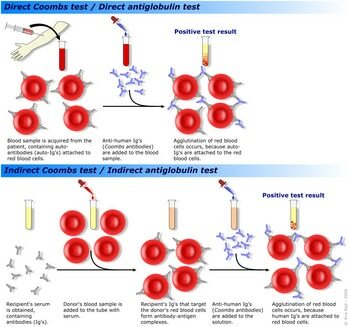 A blood typing chart, shown below, was developed to show the relationship between parents and their children. This has enabled scientists to predict the blood type of a child based on his/her parents’ blood types. On the contrary, if one of the parents’ blood types was unknown, the scientist could use the blood types of the child and the known parent to identify the missing parent’s blood type. In this way, scientists used blood typing to determine paternity or maternity of a child. However, because the information from blood typing is limited, it was difficult to definitively identify biological relationships. 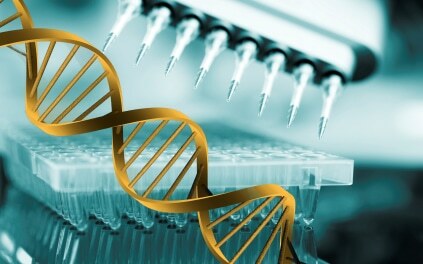 RFLP allows scientists to cut out the unique sections of the DNA, which is extracted from blood samples. 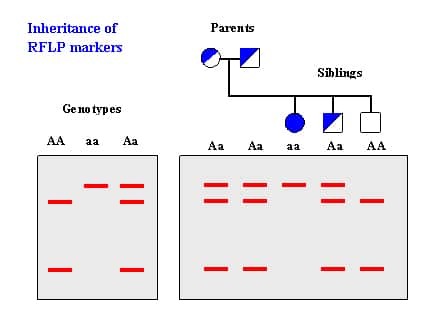 For paternity testing, these unique sections of the parents and child are compared. Half of the child’s DNA should match the mother’s DNA, and half should match the father’s DNA if they are biologically related. Sometimes during this procedure, the child’s DNA will not appear to match either parent’s DNA, possibly caused by genetic mutations. To such situation, scientists will perform statistical analysis to know the possibilities of mutation and biological relationship between family members. Because RFLP is applied to DNA testing, this procedure gives in highly convincing results, typically with a power of exclusion higher than 99.99%. 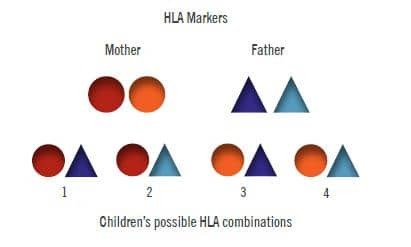 However, this technique is not performed frequently today because, like HLA testing, RFLP requires a large blood sample and a longer turnaround time. 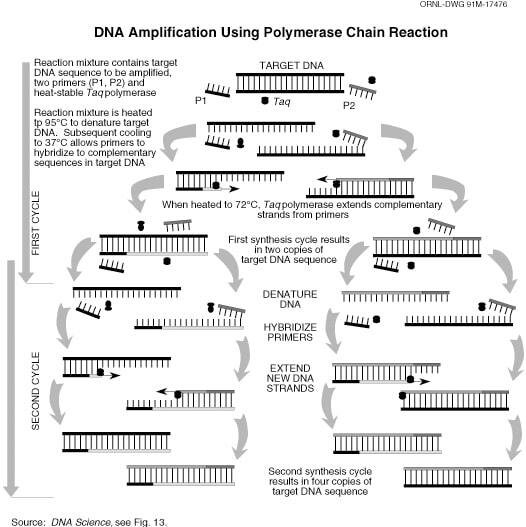 Although developed in the 1980s to amplify one or more copies of a DNA across several orders of magnitude, polymerase chain reaction (PCR) technique in DNA testing became the standard process for paternity testing in the 1990s. PCR is a technique in which DNA fragments are basically copied and replicated n number of times until billions of copies are made. Because of the power of PCR, very small samples of DNA from any part of the body can be used in a DNA test. Additionally, the process is quick.